Dr. Beth King, assistant professor and certified psychiatric-mental health nurse practitioner, created a unique gallery display at the Palm Beach County Action Alliance for Mental Health Voice Awards. 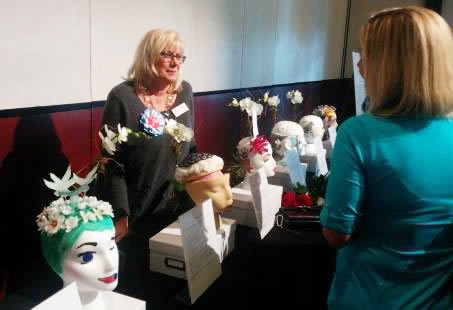 The display featured 16 sculpted aesthetic re-presentations of heads created by FAU College of Nursing undergraduate students enrolled in Psychiatric Mental Health Nursing Situations in Practice. Each head depicted a nursing situation in which the student cared for a person living with the challenges of mental illness. The description that accompanied the sculpted head explained how the student came to understand not only the complexity of the illness but the uniqueness and beauty of the person experiencing it. The gallery garnered tremendous attention and accolades for the art and, most importantly, for the students' expressions of caring. It was a wonderful display of student work and Dr. King's commitment to helping students understand caring for persons with mental health situations.